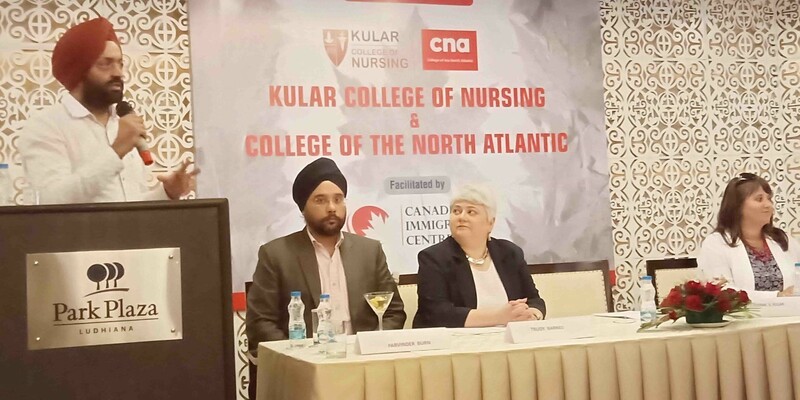 The Kular College of Nursing has inked a pact with a leading educational institute of Canada, the College of the North Atlantic (CNA), for students of nursing. The MoU was signed by Dr Kuldeepak Singh Kular Chairman of the Kular College of Nursing and Trudy Barnes, CNA’s Vice President, International Corporate Training and Continuing Education, at Hotel Park Plaza today. 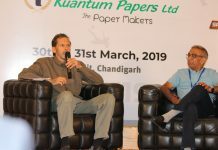 “This program would give a clear edge to the nursing students from the region as they would be trained according to the Canadian nursing practice standards and guidelines,” said Dr. Kuldeepak Singh Kular at the event. The students admitted to this program will undergo a six- week induction program in India and complete their degree at the College of the North Atlantic in Canada. According to Trudy Barnes, CNA is one of the largest post-secondary educational and skills training institute in Atlantic Canada, with a history dating back to 50 years. It has 17 campus locations which include facilities throughout Newfoundland and Labrador. Elizabeth Vincent CNA’s International Business Development Manager, informed that experienced faculty from Canada shall be preparing the students during the six- week preliminary sessions to be held at the Kular College of Nursing following which the students will be eligible for admission to CNA for the May session. “Nursing students with BSc, GNM and post-basic nursing qualifications are eligible for the program. The six- week program will be held at the Ludhiana campus followed by the two- year degree program in nursing at CNA in Canada,” said Dr Kular. Parvinder Burn, Director of Canadian Immigration Centre, who had facilitated the collaboration said that as per the current Canadian immigration rules, after passing the two-year course at CNA, the international students shall get a three- year work permit in Canada. The student shall be further eligible for permanent residency in Canada under the Newfoundland Provincial Nominee Program. 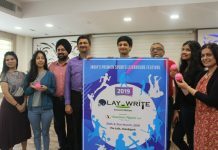 Superstar Singer pursues talent in the beautiful city of Chandigarh…. Limca redefines freshness with Kiara Advani as new brand ambassador.